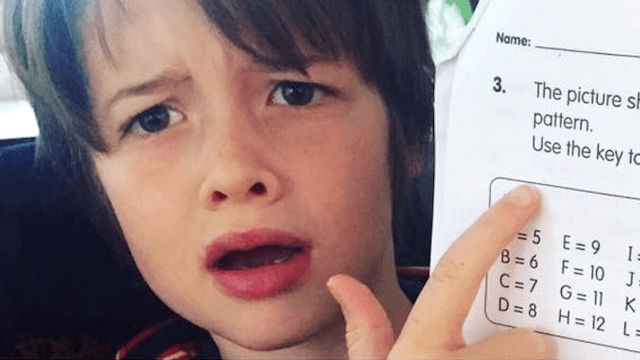 Parents share six-year-old's math problem that stumped them. Now the whole world is stumped. When first grader Penn Holderness brought home his math homework recently, his parents had to take a second look at it. Then they looked again. They're still looking. That's because the last question was so hard, they couldn't even begin to figure it out. And this was for six-year-olds! They were so baffled, they felt compelled to share it on their family Facebook page. Here it is in a closeup, as though that will help. If you figured it out, good for you. Stop bragging. But if you were stumped, you're not alone. The Holdernesses' 800,000 Facebook fans agree: this is some black magic right here. But as the Holdernesses explained, they didn't intend to share the problem as a criticism of the school or the state's curriculum—they just wanted to bond with strangers over being old and dumb (at math). 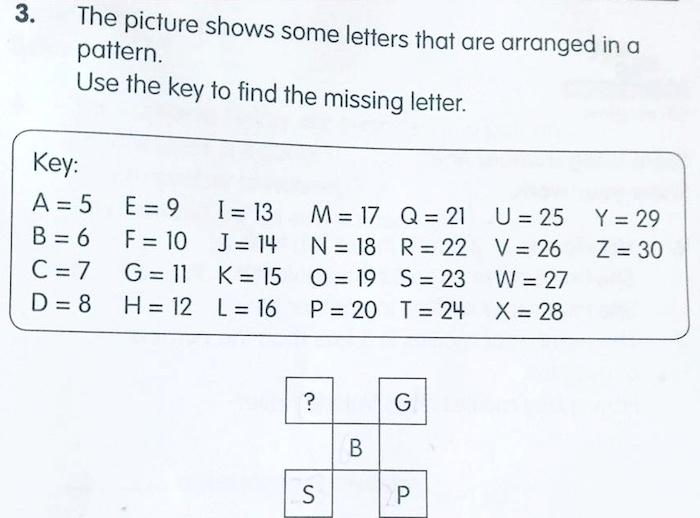 They even went out of their way to point out that this question was not representative of the rest of the assignment. So after all that, do you want to know the answer? Me too. If you figure it out, let me know.